Pesach is icumen In – celebrate with the Jewdas Haggadah! It won’t be everyone’s up of tea. More like marmite: love it or loathe it. Often we add special liberation readings to our seders but who but Jewdas could turn the whole thing on its head – while preserving the order of the seder of course! Provocative, absurd, childish, offensive, insightful… everything you expect from Jewdas. Buy this book – see special offer from Pluto (no, not the planet) – then don’t blame us! Foreword by Rabbi Geoffrey Cohen who occupies a special circle in the affections of Jewdas. Plus fragments of the Book of Geofrey all included in the price. And where else will you find the minutes of the previous Jewdas meeting, with starts under matters arising with brief updates on ‘Board of Deputies takeover’, ‘Undermining the Jewish Chronicle’ and ‘Destroying the nuclear family’? 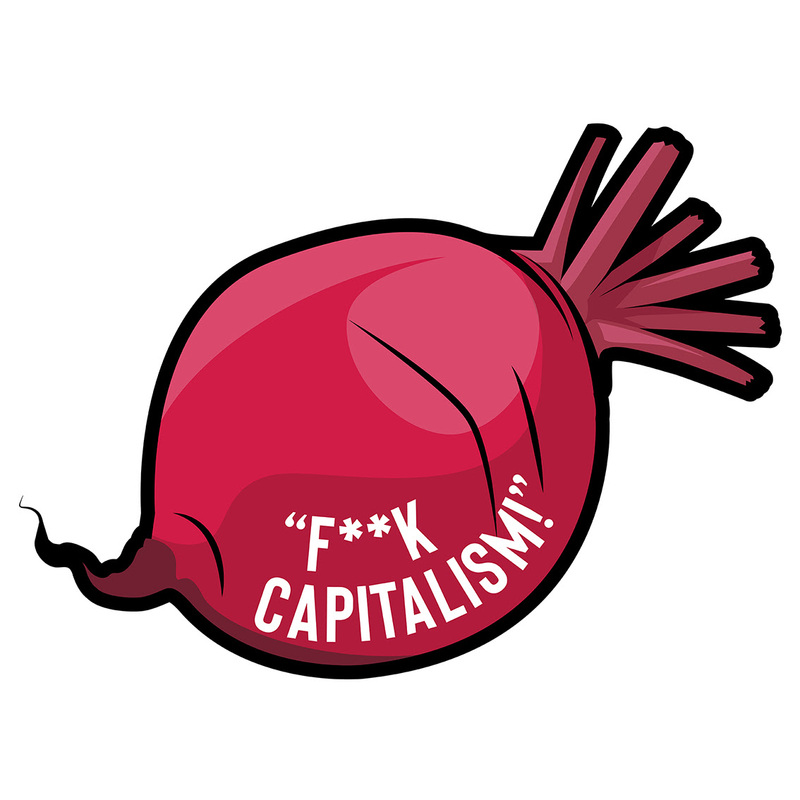 Anyone remember ‘Jeremy Corbyn’s four-hour meeting with hate-filled group that mocks Judaism‘, where attendees were holding beetroots in the air and shouting ‘f**k capitalism’? Aka the 2018 Passover feast hosted by Jewdas, who are actually a pretty awesome Jewish collective who celebrate free-thinking, socialist and diasporist Judaism. This year, Pluto are proud to be publishing their authorised yet heretical Haggadah in time for Passover 2019. Propagating a multitude of dangerous ideas such as anarcho-socialism, the dismantling of nation-states and free pickles for all, this Haggadah also contains an authorised guide to Jewish practice in the late capitalist era, riotous songs, diasporic recipes, and assorted tips for surviving establishment Judaism. Just add the number of books you require to your shopping cart, and enter the coupon code ‘HAGGADAH’ at the checkout. We’ll throw in a bunch of stickers in there, and a lovely Pluto Press tote to sweeten the deal! Make sure you check our shipping times.